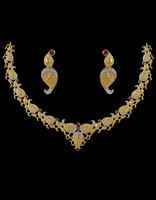 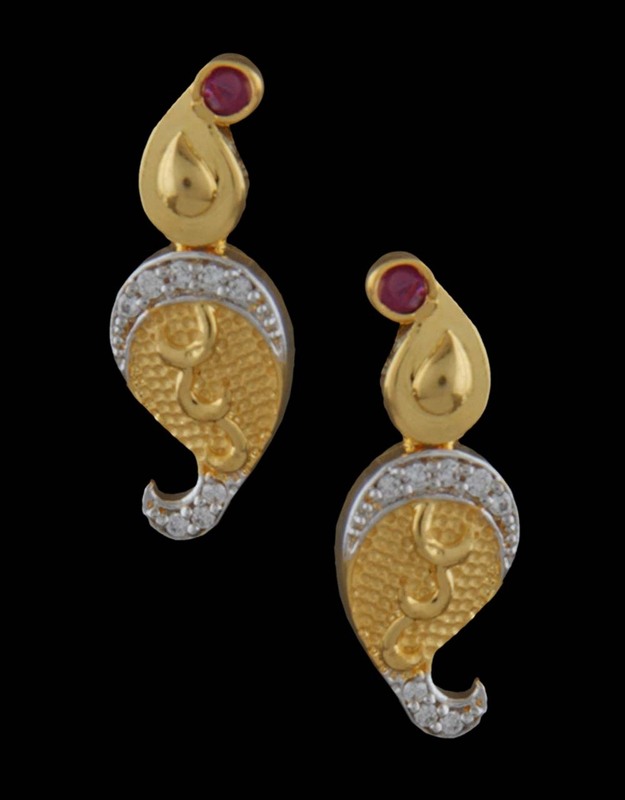 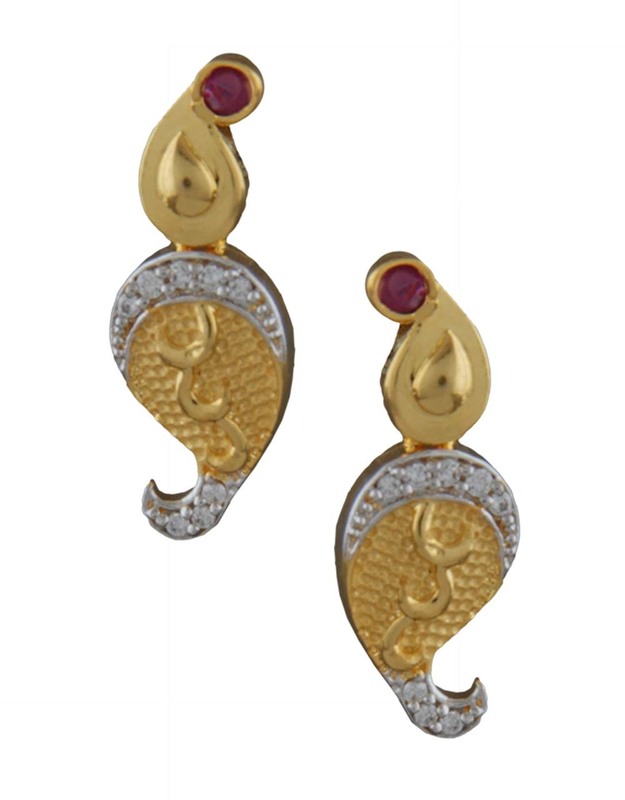 You will surely fall in love with this golden colored necklace set from Anuradha Art Jewellery. 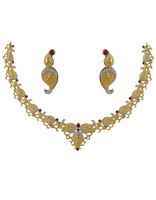 Made from 40% silver & golden polished copper, this beautifully designed necklace set is skin friendly. Team it with your ethnic outfits to look perfect. It is encrusted with American diamonds & ruby.